1. Thank you “Fabulous at Fifty” for this award- You truly are fabulous and so is your blog! Conchsaladesque – Thank you for making me laugh and inspiring me! Undeterrable– Love to read about another goal setter! My Pink Ribbon Journey– Talk about survivor- this super woman just completed a triathlon after taking on breast cancer! The Thinks I Can Think– Besides being generous, she is also incredibly funny! Eat:Watch:Run– This blog cracks me up (and the bunny is adorable)! Running on Empty– Love that this couple is training for a marathon together- and he documented his proposal in the blog! Lots of luck to you both!!!! 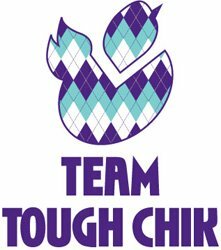 Motion and Rest– Love to read about another runner’s progress- especially when that runner is a fabulous woman with a sense of humor! Breathless Runner– I totally relate to this blog! Slow Happy Runner– Because Lori, you are an inspiration, and I love reading about your journey. 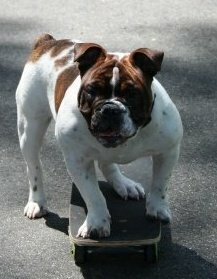 I have a bulldog who skateboards. One of my biggest achievements was buying my first house. Some of my favorite hobbies include traveling, photography, and drawing/painting. My favorite pair of shoes are my vibrams. My greatest fear is failure. Billie Holiday and Bob Marley are two of my favorite musicians. Aww shucks. I’m on the list! ❤ ❤ I'm gonna have to check out some of those blogs. I've only heard of one of them! Of course you’re on the list! As I pointed out, you’re blog cracks me up. 😉 Thanks for having such entertaining posts! I am honored by your recognition, and I’ll do my best to pass along (and hence fully earn) the award. It may take me a little while to find 15 favorite blogs, but now you’ve inspired me to go looking for them! WOW! Thank you so much. I’m always thrilled anyone reads my blog and, now, I have confirmation that at least one person likes it! Yay! Thanks, again. I will try to do a post like this, but in case I don’t, I definitely will link you back! I wish I could draw and paint, dang it! I think my Vibrams are my fave pair of shoes now too. That happened quickly. You are SO welcome. It was totally deserved! It’s amazing how quickly those vibrams work their way into your heart! They will change your life- I swear! Is it possible to have platonic blog crushes, because I think I’m developing a few! lol I am so glad to have started this blog, in part, because I have met so many wonderful and inspiring people like you! Thanks for passing along the award and recommending some great blogs. I wish I had a magic dog that knew how to skateboard. And I don’t usually like canolis, but it was the one thing I wanted to eat after running the NYC Marathon. Weird, huh? yay, thank you so much for the mention! i’ve been a junky blogger lately (life happens) but still glad you’re following 😀 seriously can’t wait for your marathon recap…i am not sure if i’ll be in the state that day but if i am i might just have to come and cheer you on!